The "pink tax" — the taxation of necessary hygiene products like pads and tampons — has long been a hotly contested issue. Over the last few years, there has been plenty of campaigning from the people who are directly affected by it. In the U.S., 14 states and Washington D.C. have eliminated it completely — and that's a great start. But imagine a society in which the products that help determine a person's quality of life weren't just slightly less expensive — imagine if they were completely free. Scotland imagined it and then took the phrase "dream it, believe it, achieve it" literally. In a move that seems to be the first of it's kind (organized at the government level), Scotland will be giving out free sanitary products to low-income women through a test program that will hopefully become a regular thing. The pilot program, which will be rolled out in Aberdeen (Scotland's third most populated city), is anticipated to benefit more than 1,000 women and girls over a six-month period (pun only slightly intended). The program is being orchestrated by Community Food Initiatives North East (or CFINE), a Scottish social enterprise and charity. The free products will be distributed through women's health and housing charities and in four different schools. The initiative, which is backed by £42,500 (about $54,764) in government funding, will be used as a study of sorts to determine if providing citizens with free sanitary products could be a long-term endeavor. Monica Lennon, Scotland's Labor MSP who has long campaigned for the end of "period poverty," said that while this program will be a great start, she will soon be launching "a consultation on a member's bill proposal which will give all women in Scotland the right to access these products for free, regardless of their income." 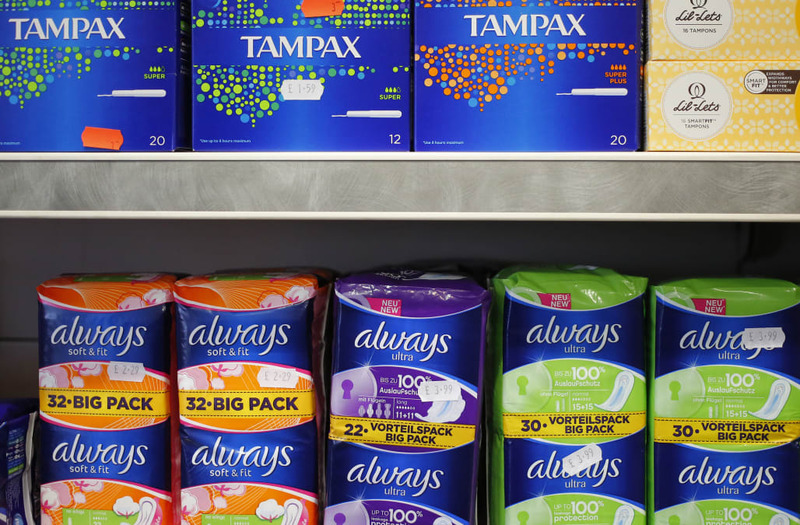 The chief executive of CFINE, Dave Simmers, notes that the often unmanageable cost of feminine hygiene products is a contributing factor to women being unable to get out of poverty. "Over a woman's lifetime," Simmers said, "sanitary products cost on average more than £5,000 ($8,300), a significant sum for those on low-income. Many cannot afford them and may use inappropriate methods or miss school." And that's a problem that women and girls around the world face every day — and not just in developing countries. It's a vicious cycle, and it's just another layer to the wage inequality and price discrimination that leave women struggling to climb the ladder that many men easily scale. So here's hoping that Scotland sees good results — and that other countries follow suit.